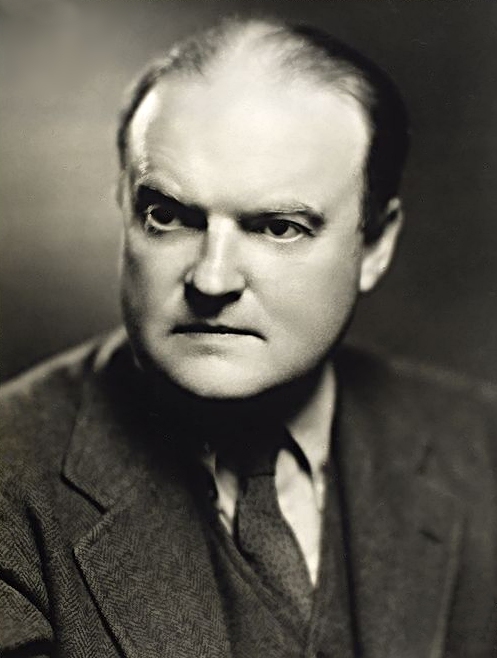 Edmund Wilson (1895-1972), was a literary critic and essayist who wrote for Vanity Fair, the New Yorker and the New York Review of Books. Wilson made a few contributions to Southern California literary history — as well as editing his university friend F. Scott Fitzgerald’s posthumously published and incomplete Hollywood novel The Last Tycoon, his essay ‘The Boys in the Back Room’ (1941) was a significant early discussion of expatriate California novelists like James M. Cain and Horace McCoy. He would also write two further essays (both critical) that are occasionally brought up in discussions of detective fiction: ‘Why Do People Read Detective Stories?’ (1944) and ‘Who Cares Who Killed Roger Ackroyd?’ (1945). Despite his scepticism about the detective novel, in both essays there are moments of penetrating insight into the genre. In the former, he suggests that detective fiction grew in popularity during the twenties and thirties because the world was ‘ridden by an all pervasive feeling of guilt and by a fear of impending disaster’, emphasising the importance of post-/inter-war unease and anxiety well before film critics began to make similar observations with reference to film noir. It’s his following sentence that I like the most, though, because it it emphasises the affinity between Chandler and other chroniclers of Los Angeles, Chester Himes as much as James Ellroy or David Lynch. In fact, it could be applied to so many of the works I’m researching, it would be a suitable epigraph for thesis as a whole. It is not simply a question here of a puzzle which has been put together but of a malaise conveyed to the reader, the horror of a hidden conspiracy that is continually turning up in the most varied and unlikely forms. All three of Wilson’s essays mentioned are collected in Edmund Wilson, Classics and Commercials: A Literary Chronicle of the Forties (London: W.H. Allen, 1951).